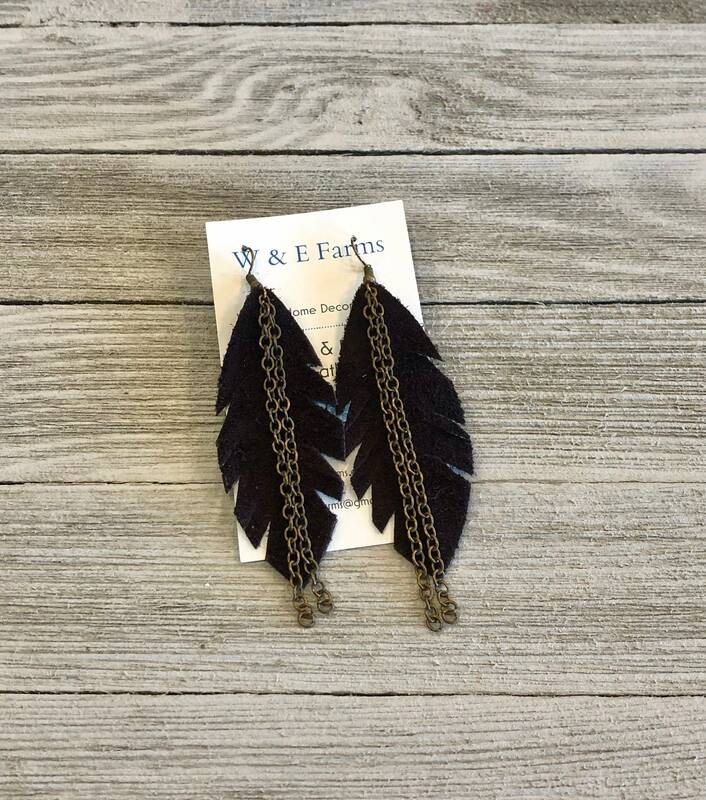 All genuine leather feather earrings with bronze chain. These are brown suede leather. Earrings are 3 1/2 inches long in total length. Hooks are antique bronze & nickel free.